4k00:10Close-up: The guy is cooking pilaf. He is in a summer house, cuts onions, on a red cutting board. 4k00:37Ripe watermelon. 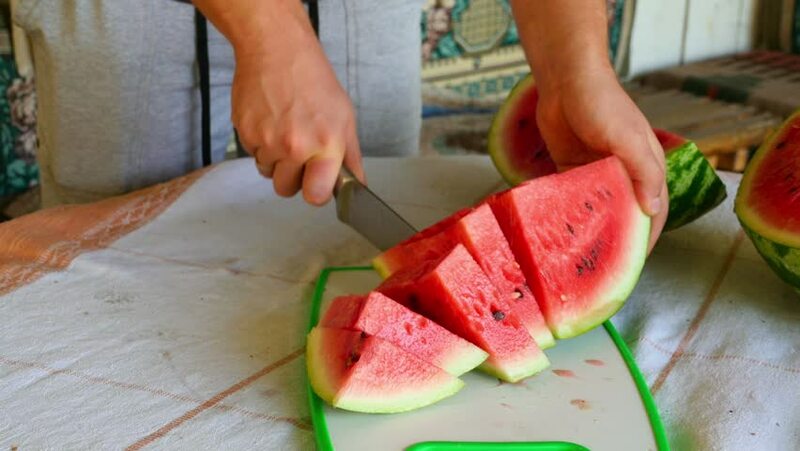 Female hands cutting the watermelon into thin slices. 4k00:13Female's hands cut fresh cucumber with a ceramic knife on wooden board. 4k00:07Close up chef hands cutting lime on chopping board.